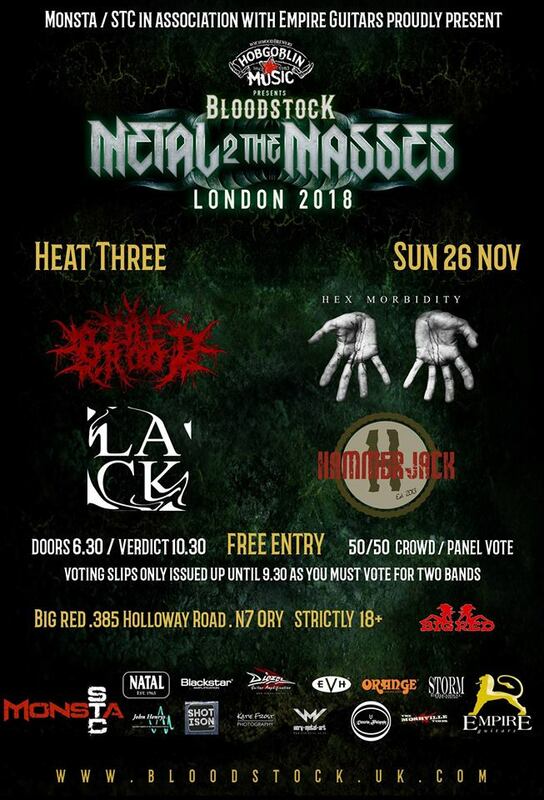 Next Sunday, November 26th sees your favourite punk/metal trio heading to The Big Red on Holloway Road to compete in Metal 2 The Masses 2018. LACK entered this competition a couple of years ago and since then there have been some changes. Not only is Rob, Steve and Jay more certain about how LACK sounds, but Metal 2 The Masses London has also been refreshed. First off, it is free for fans of the bands to attend. That could make a huge difference as to how many supporters will get behind the bands. It shouldn’t, but we know it does. Furthermore, this year’s venue is The Big Red. This is already a favourite of LACK’s, as well as many of our friends. So, that also should be one less excuse why you can’t attend. The voting is split between the crowd and the judges 50/50 – so your votes really do count.